Our collection of Julia Donaldson books on our shelf has grown over the years, and we always enjoy reading them together during story time. It’s hard to choose a favourite title of course, but the one thing the children and I can agree on is that we are always excited to read a new Julia Donaldson adventure together! The Girl, The Bear and the Magic Shoes is Julia Donaldson’s latest book, and it doesn’t disappoint in delivering those magic ingredients that we have come to expect from and love in her writing. It’s a fun new story to enjoy, filled with rhyming verse, bright and beautiful illustrations, and a dash of glitter. Josephine loves running, but when she visits a shoe shop to buy some new running shoes she gets a little more than she expected. Taking the new shoes for a run, she’s surprised to hear an unusual sound and discovers that a bear with a backpack is following her! She sets off to outrun the bear, but he follows her and their journey takes them across various obstacles. You discover that her new running shoes are in fact magic shoes, and that they can change into different shoes for her to overcome the new environment she’s facing to run away from the bear. 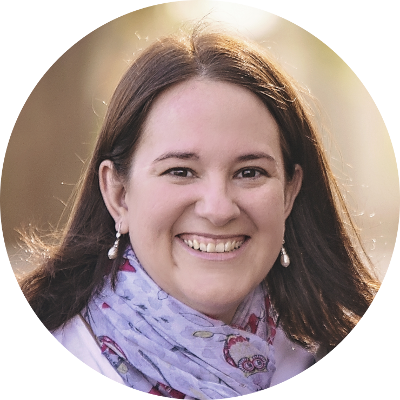 First they transform into snow boots to navigate a snowy mountain, then skis to ski down the mountain and even wellies to squelch through a muddy bog. All the while the bear continues to come after her. The story is fun and fast-paced, with wonderful onomatopoeic words like crunch, whee and splash to bring the exciting adventure to life. 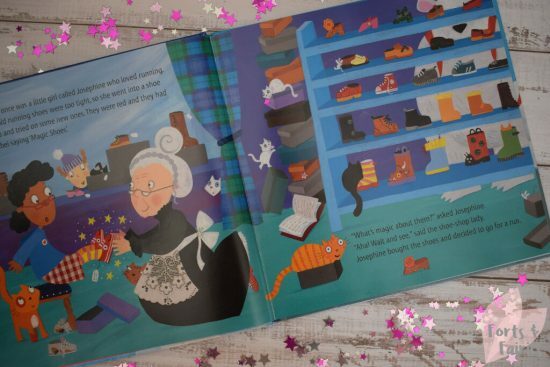 The repetitive verse provided by the two shoes will be picked up by your children in no time at all, who will be captivated to see what happens when the bear does at last catch up to Josephine. 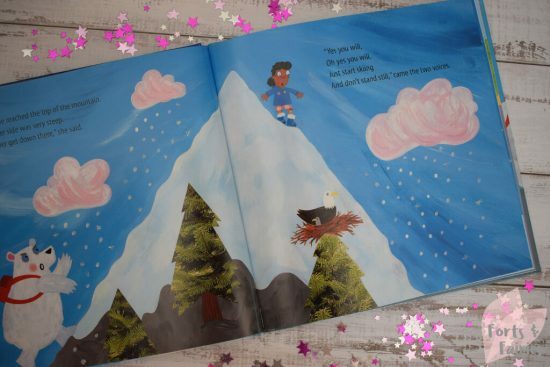 The illustrations by Lydia Monks are bright and colourful, and combined with the beautiful glitter on every page they make The Girl, The Bear and the Magic Shoes a favourite for story time and a must have if you (like me) are a fan of this incredible picture-book creating team. I love that Monks includes little nods to the other amazing titles in the Donaldson library, like the shoes that look like a Gruffalo and ladybird in the shoe shop, or the three small books of What the Ladybird Heard series in the book shop window. You can even spot Monks’ new title Frog Hops Off! in the same window if you look closely. 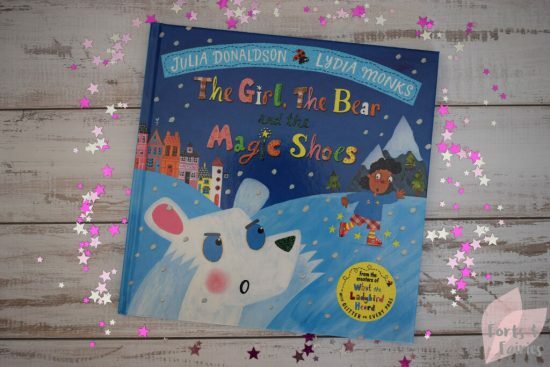 If you already have one or more Julia Donaldson books in your children’s book collection then you will not regret adding The Girl, The Bear and the Magic Shoes. It’s also the perfect book to start your new collection with, but be warned that once you’ve got one you’ll certainly want them all! The Girl, The Bear and the Magic Shoes is available in hardcover from bookstores and online retailers for a recommended retail price of R220. Thanks to Pan Macmillan for sharing another beautiful Julia Donaldson and Lydia Monks adventure with us.